It pains me to admit that I haven't yet mastered this recipe. 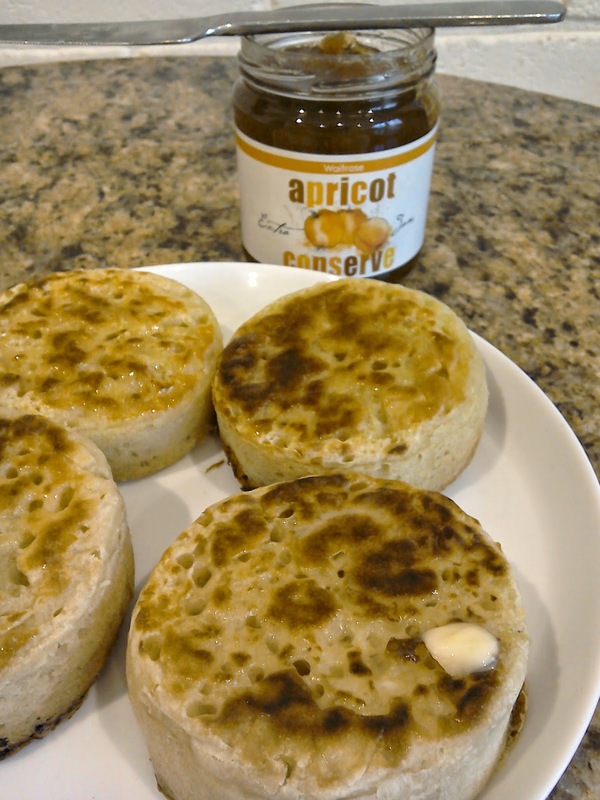 After all, what is more quintessentially English than a hot, buttered crumpet? Even Dickens was always wittering on about them. Mind you, he was good at wittering on in general, it wasn't specific to baked goods. And let's face it, crumpets are amazing. I used to have them with butter and Marmite spread on top (other yeast-based spreads are available) and leave them just long enough so it soaked through the honeycombed structure. Then I'd squeeze them to make the Marmite/butter mixture ooze out the top. I'm not sure why, but then I've always been easily amused. Now I usually have them with a little spinach and a poached egg perched on top - mainly because as a frequent runner and a vegetarian I need my protein and iron. That is why I wish I could tell you this recipe was foolproof. But it most definitely isn't, because I tested it on a fool (myself) and I'm at a loss to what made some of attempts work and some of them fail miserably. So all I can really do is offer you the original recipe, along with some of my observations on it. It's a Paul Hollywood recipe and will make 10-12 crumpets. 1. 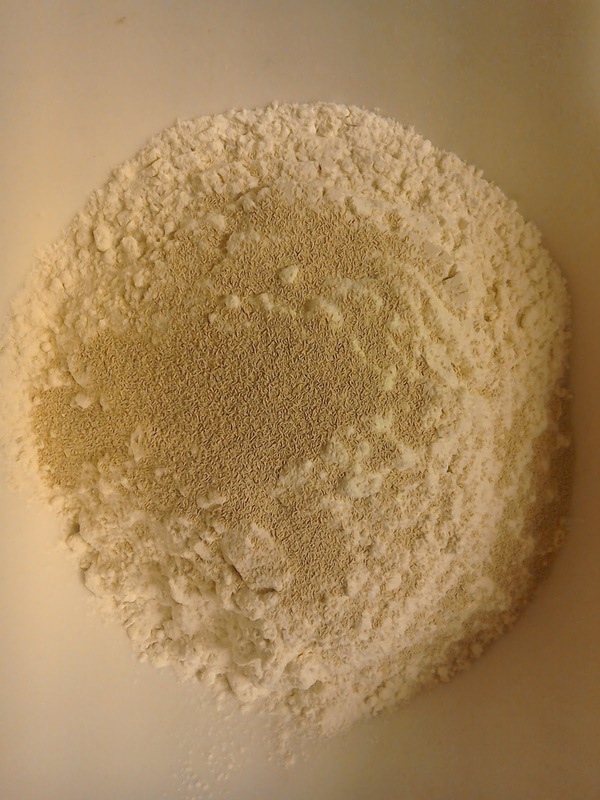 Put the flours and yeast in a bowl together. 2. 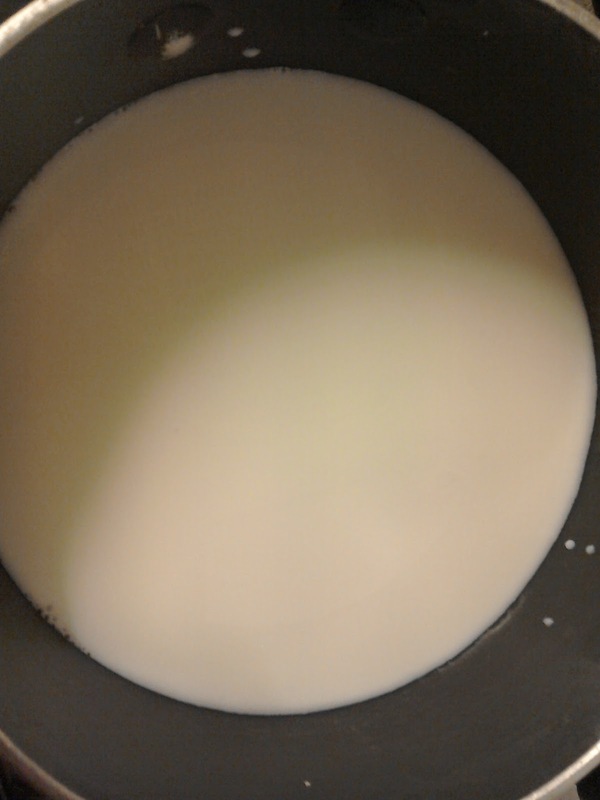 Warm the milk in a pan, adding the sugar. Do not let it boil, just warm through. Make a well in the middle of the flour and add the milk, drawing the flour in with a wooden spoon and then mixing until it forms a dough. 3. 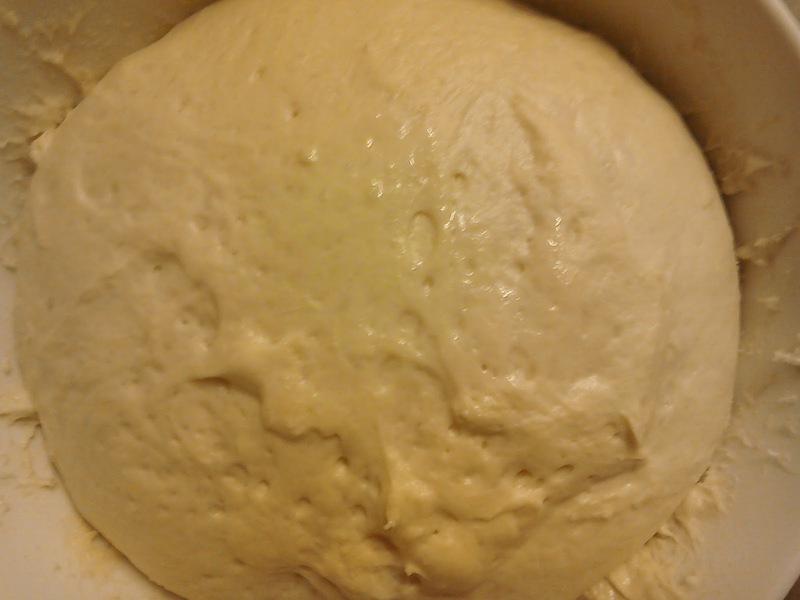 Put the dough in a bowl and cover it in clingfilm. Leave it until it has doubled in size and then sunk back a little, about an hour. 4. 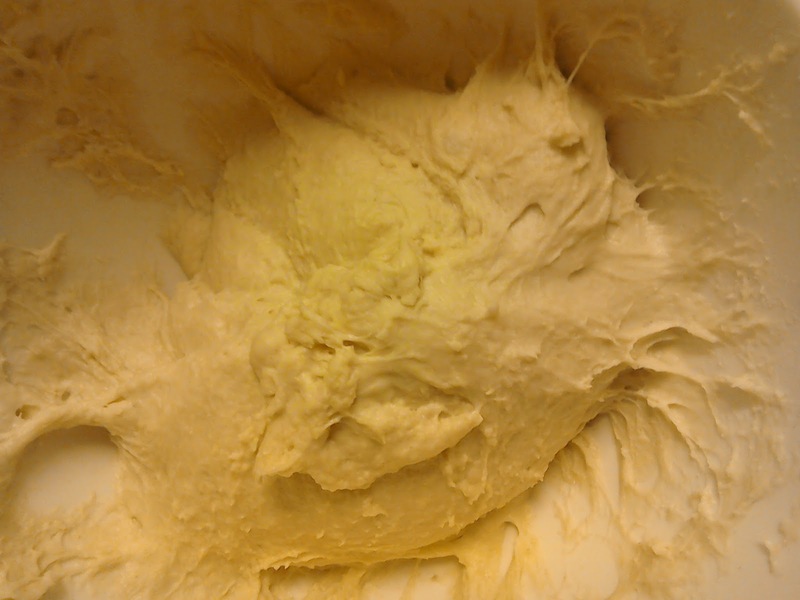 When the dough has sunk back, mix the bicarbonate of soda with 150ml of the warm water and the salt. 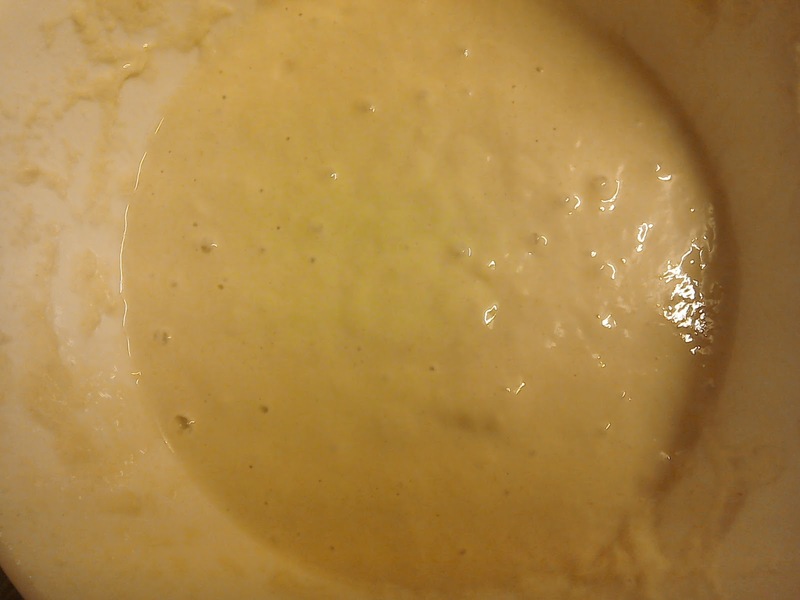 Beat into the dough, adding more water if needed, until it forms a thick batter that drops from the spoon. Recover the batter and leave for 20 minutes. 5. Heat a griddle or large frying pan on a low-medium and lightly grease both the pan and the rings. 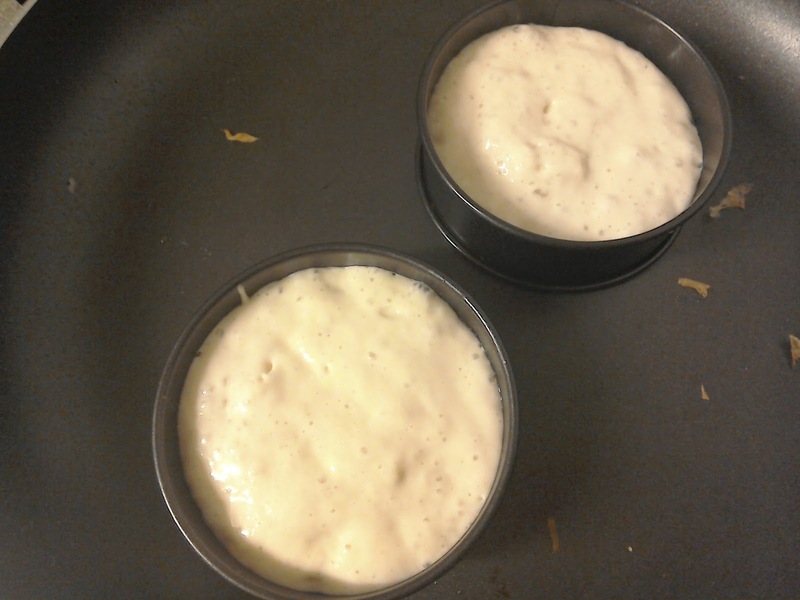 Put a ring on the pan and ladle enough batter in to fill about two thirds of the tin. 6. 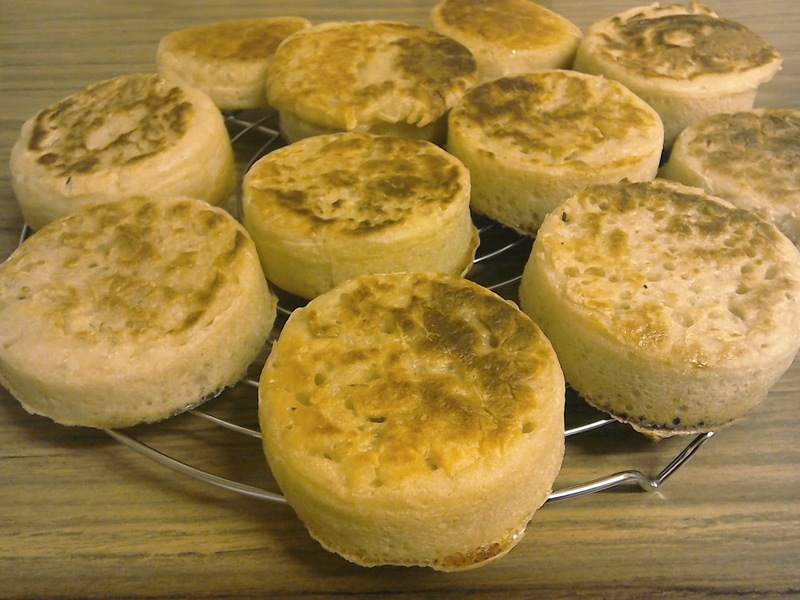 Bubbles will form in the batter and rise to the surface as the crumpet cooks - pop them with a sharp knife. When the bottom of the crumpet is browned and the top is set, which should take 6-8 minutes, flip it with a couple of spatulas. The bubbles should have stopped filling with batter and stayed open instead. Cook for a couple of minutes upside down until the top is golden brown. 7. 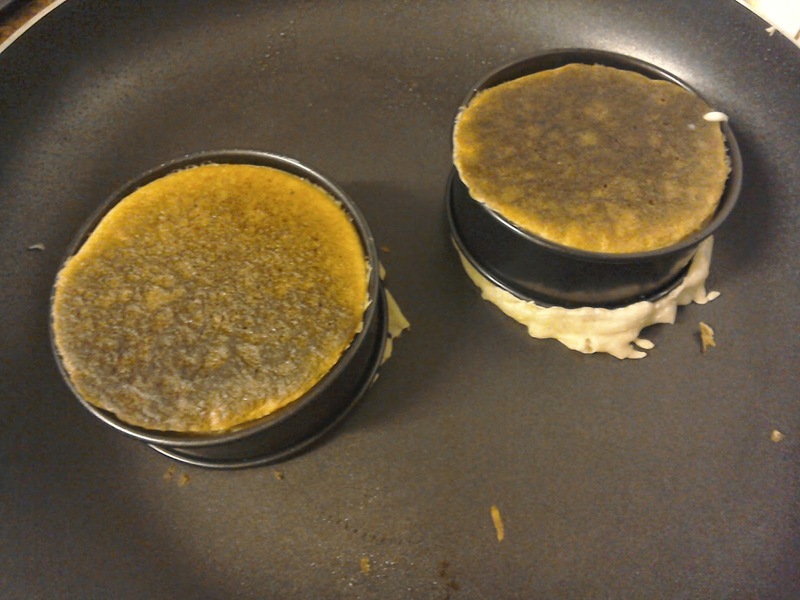 Slide the cooked crumpet out of the ring and leave to cool, then return the ring to the pan and refill with batter. You may want to rest the pan for a couple of minutes between batches or it will get so hot that the bottoms of the crumpets burn before the tops set. Either serve the crumpets straight away or leave them to cool and toast later. Enjoy with plenty of butter and the additional toppings of your choice. Make sure the pan is thoroughly heated before you begin trying to cook your crumpets. I found that if the pan was not hot enough, bubbles did not form in the crumpets. 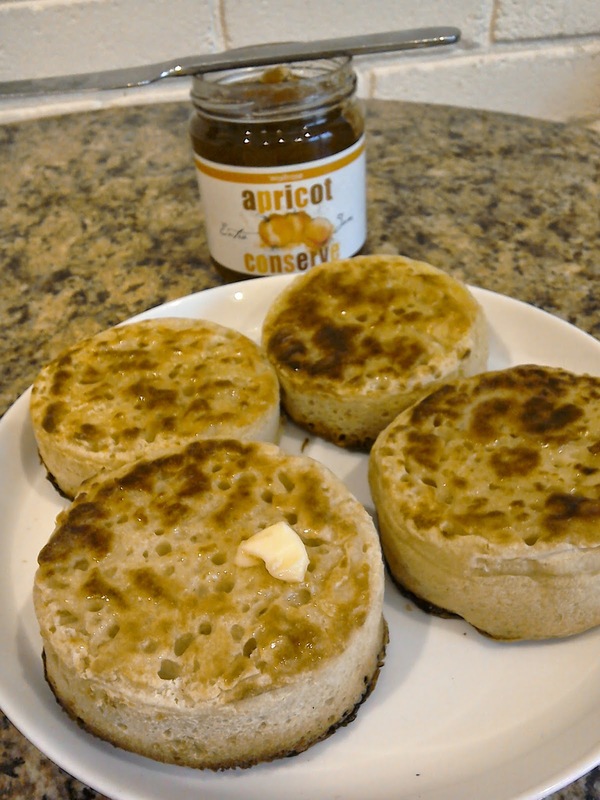 However, even if your crumpets don't have holes in, I'm sure they'll be delicious. Mine certainly were.